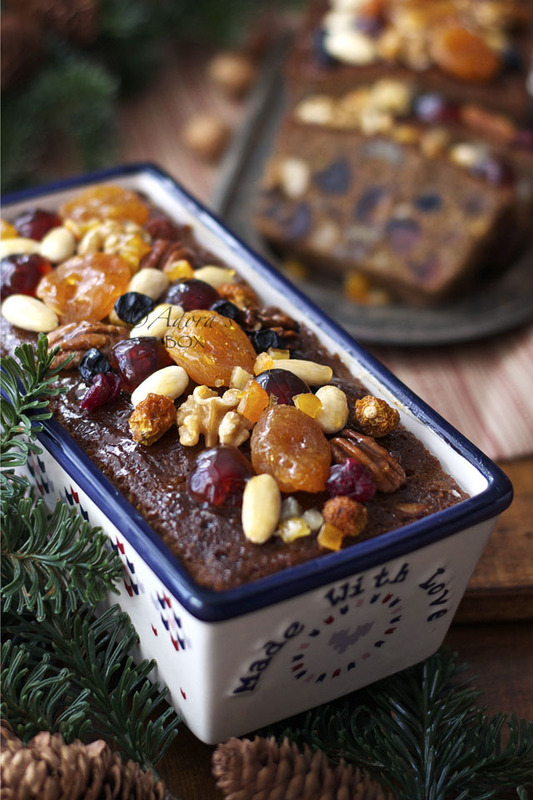 I found a fruit cake recipe in a magazine that I have tailored to my taste buds and that is the one that I have been using for many, many years. The cake batter is buttery and with just the right amount and mix of spices. The fruit and nut mix is variable so I throw in my favourite ones, varying them according to my whim. I personally am not fond of raisins so I use just a little bit of sultanas. We are spoilt for choice of dried fruits these days and I choose the sweeter ones such as cranberries, dates and glacé cherries. The one thing I keep consistent is the addition of candied orange peel, orange zest and orange juice. 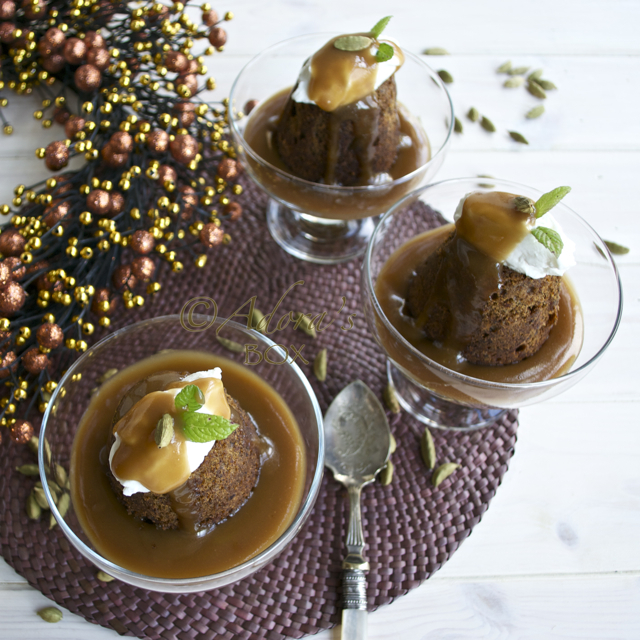 These adds a shot of freshness to the cake and diverts the rather deep and rich flavours of the cake to a more rounded one. 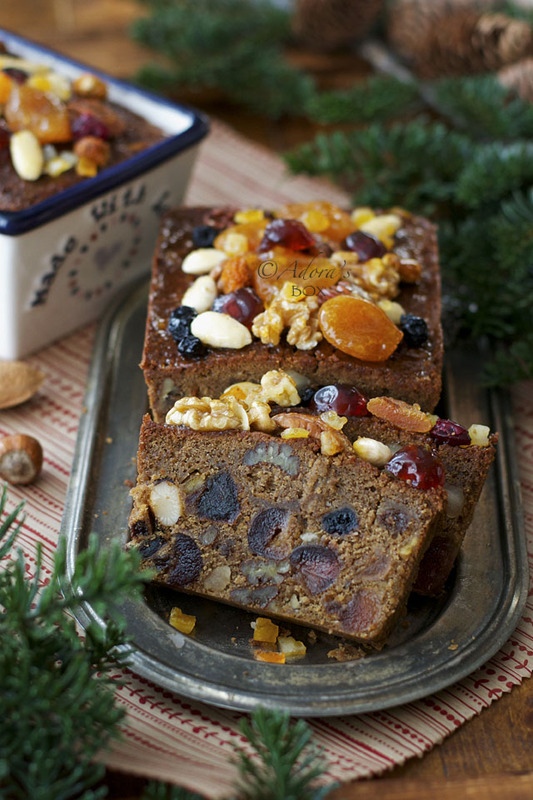 This fruit cake is really easy to make and although most would not touch one without ageing it first, it is quite nice when fresh also. I usually finish one loaf before it is properly aged because life is too short for waiting. 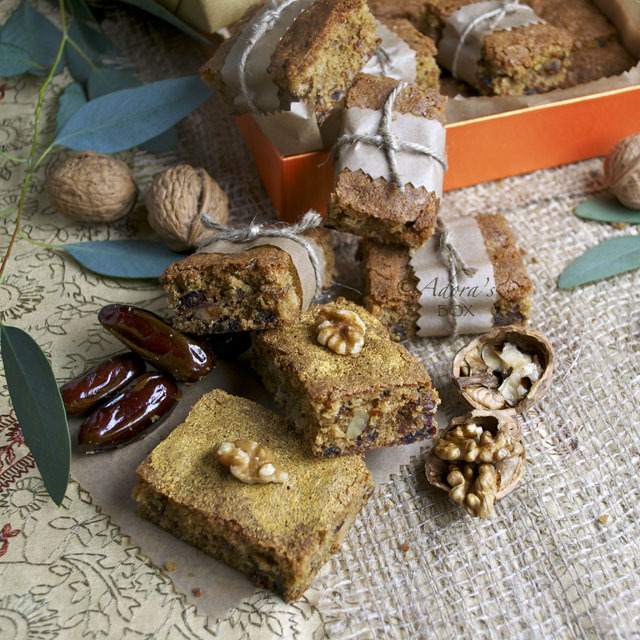 Adding an extra topping of fruits and nuts make it the perfect luxurious gift for Christmas that anyone would surely choose to keep for themselves and enjoy. You will need to prepare the fruits the night before you make the cake. 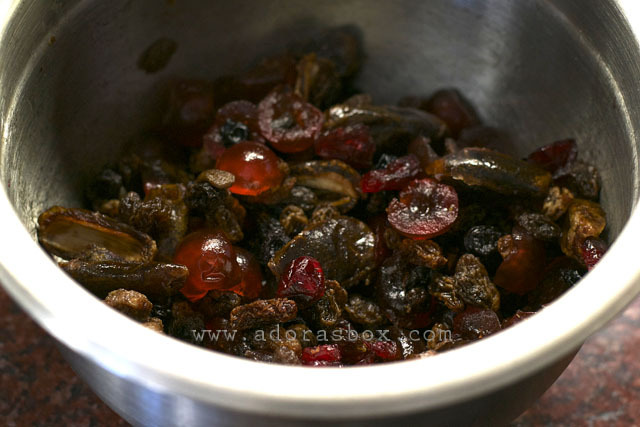 Combine the dried fruits (I used cranberries, blueberries, sultanas, glacé cherries and dates) and the brandy in a bowl. Cover with cling film and leave to soak overnight. 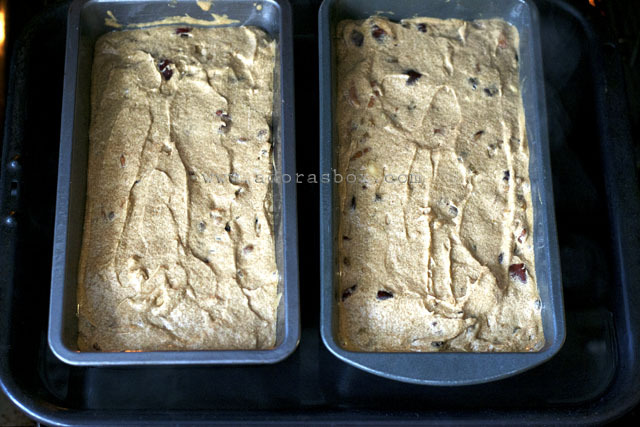 Preheat oven to 300° F/150° C.
Prepare a 9 x 4 x3-inch loaf pan or two 7 1/2 x 3 1/2 x 2 1/2-inch loaf pans. Line the bottom of the pans with greaseproof baking paper and grease the sides. 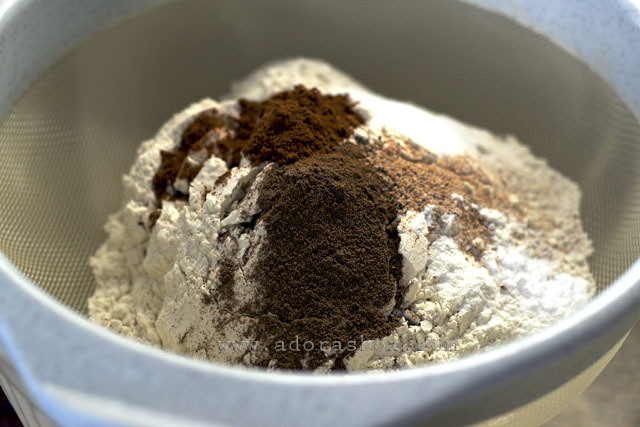 Sift the flour, spices, salt, baking powder, baking soda over a mixing bowl. Set aside. Combine the orange juice, orange zest and molasses in a jug. Set aside. 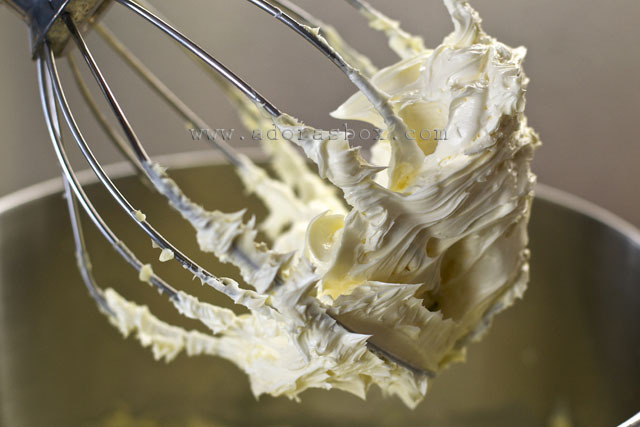 In another mixing bowl, cream the butter until light and fluffy. 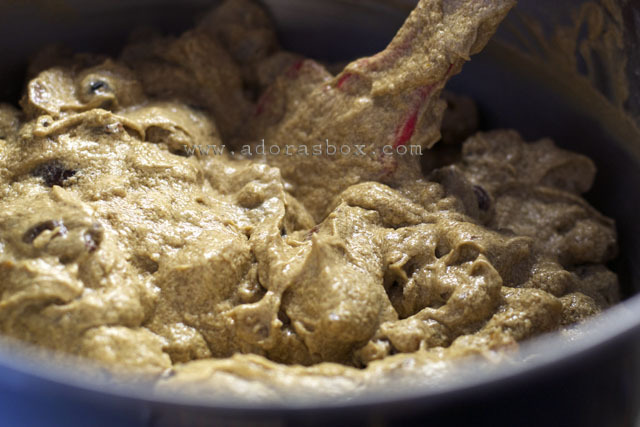 Gradually add the brown sugar while continuing to cream the butter. Mix the candied orange peel with the soaked dried fruits. Add 1/3 c. of the flour mixture to the fruit mixture and mix well. Dredging the fruits in flour will keep them suspended in the cake batter as it bakes. Add in the nuts and mix again. 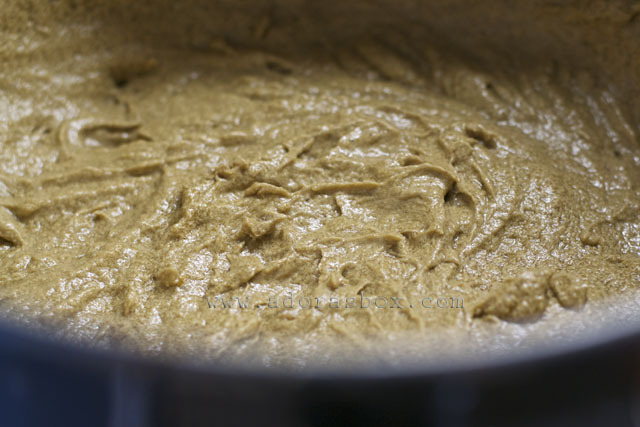 Add a third of the orange juice and molasses mixture to the butter alternately with the a third of the remaining flour mixture. 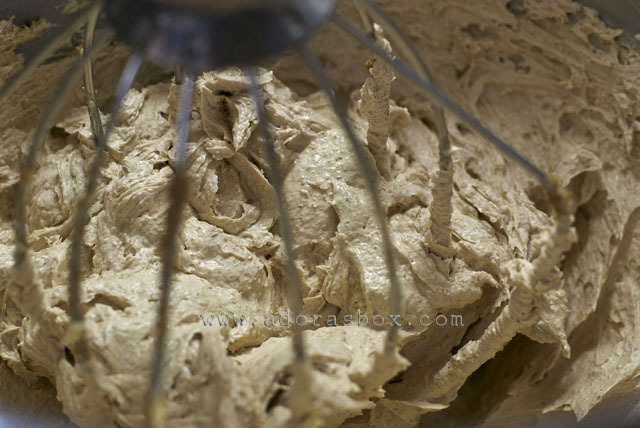 Blend well after each addition and repeat until all the wet and dry ingredients are all combined. Fold in the fruit and nuts. Pour into the prepared pan/pans and level the tops. Bake au bane marie (in a water bath: put the cake pans in a bigger pan and pour boiling water around it/them) for 1 1/2 hours or until a cake tester inserted comes out clean. Take out of the pans. Poke holes on top of the cakes using a skewer and brush with brandy. 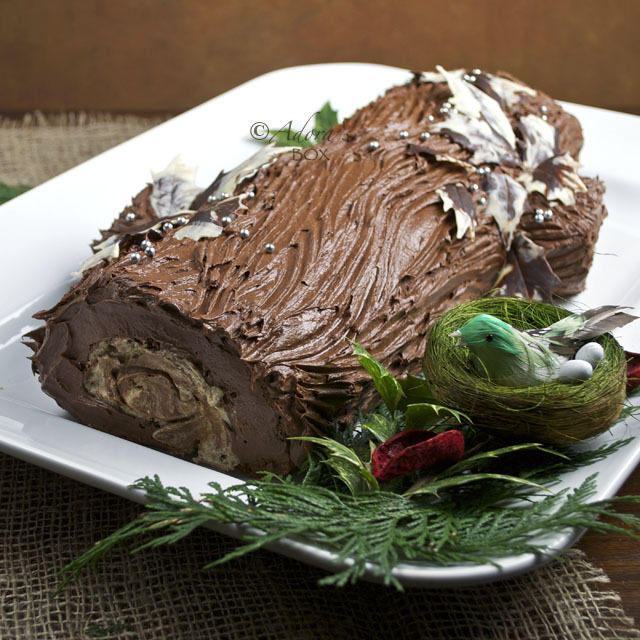 Wrap in foil and store in the refrigerator. Brush again with brandy every other day. You can use as much or as little brandy as you want but as a guide, a tablespoon and a half each time is a good amount. 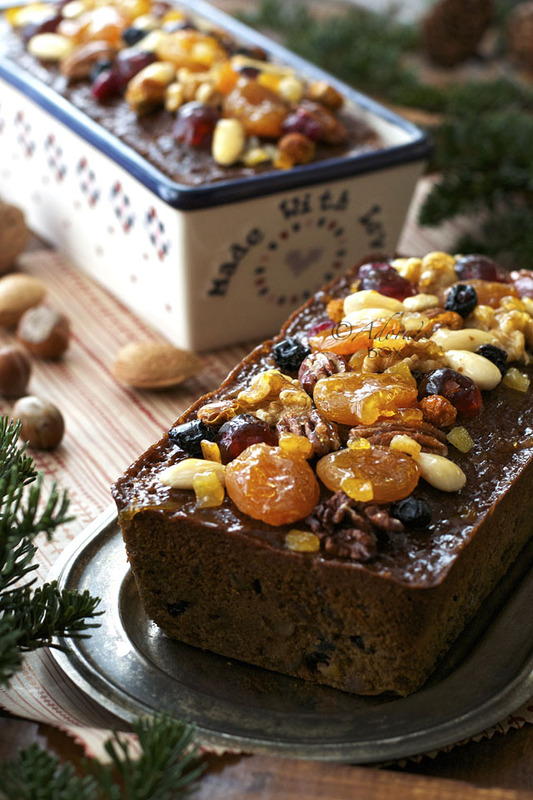 When aged, brush the tops of the cakes with warmed apricot jam or honey, then decorate with more fruit and nuts before serving or wrapping as a present. 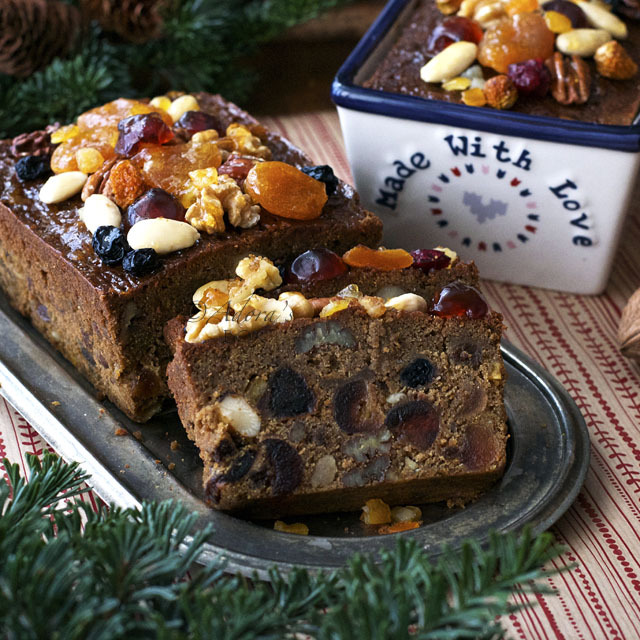 I love .... love..... love.....love .....fruitcake....whether it is called christmas cake, christmas pudding or mixed fruitcake. 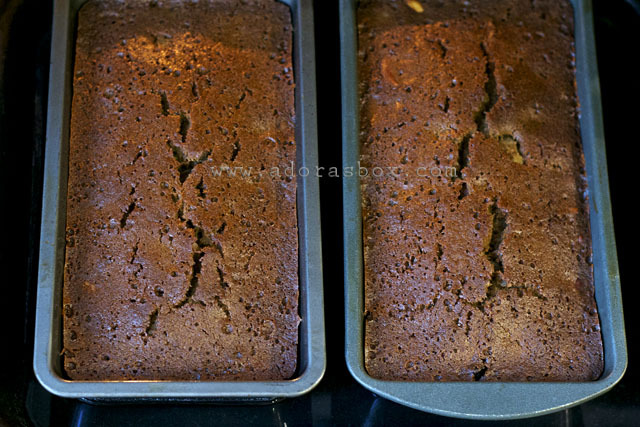 I like baking this cake in bain marie method as I like the cake in moist texture. 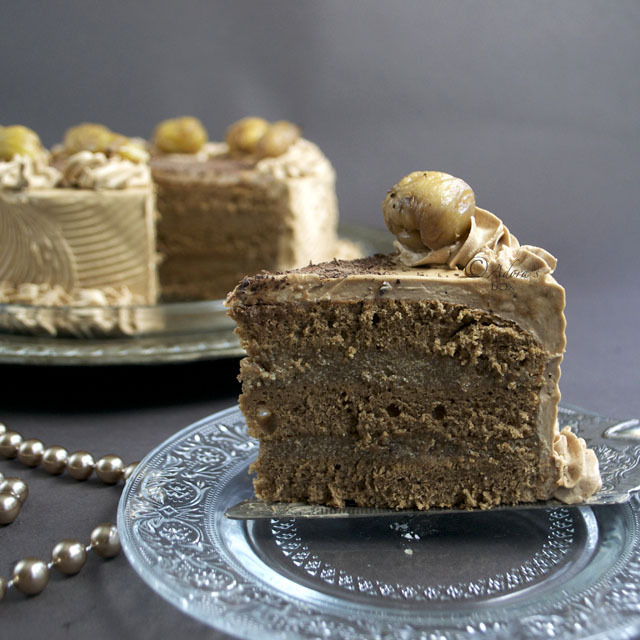 Yes, you are right, the cake taste better after it aged for few days but I couldnt wait that long and it be finished before the aged days!! Your first pic with that porcelain loaf pan looks so nice!